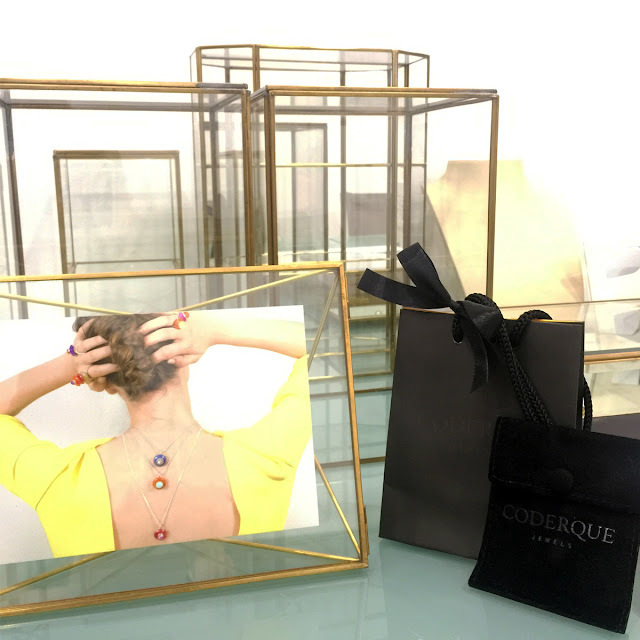 Coderque Jewels: ¿Vas a incluirlo en tu carta a Papá Noel? - Will you include it in your letter to Santa? ¿Vas a incluirlo en tu carta a Papá Noel? - Will you include it in your letter to Santa? Con las Navidades tan cerca, andamos todos buscando el regalo perfecto y las revistas de moda nos dan siempre buenas ideas. Telva ha hecho una selección de Las joyas que querrás regalar (y que te regalen) y han incluido uno los anillos de Coderque Jewels que más gusta, el anillo Barbados en plata con baño de oro y ónix. ¿Vas a incluirlo en tu carta a Papá Noel? With Christmas just around the corner, we are looking for the perfect gift and fashion magazines are always a source of inspiration. 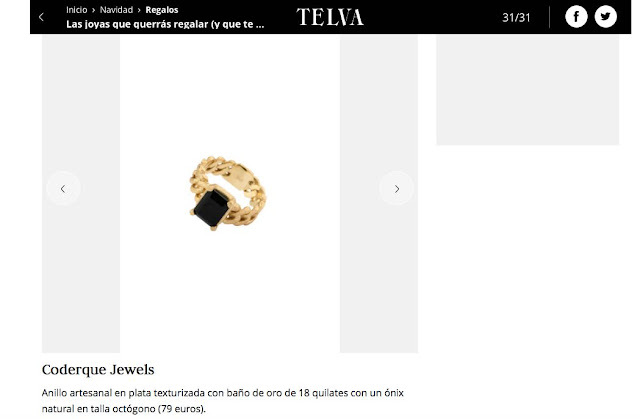 Telva has published a selection of Jewels you'´ll want to give (and receive) as present and they have included one of your favorite rings from Coderque Jewels, the Barbados ring in gold plated silver with an onyx. Will you include it in your letter to Santa?